In a sensational crucial match of the on going ICC World Cup cricket match at Auckland, Pakistan beat South Africa by 29 runs. 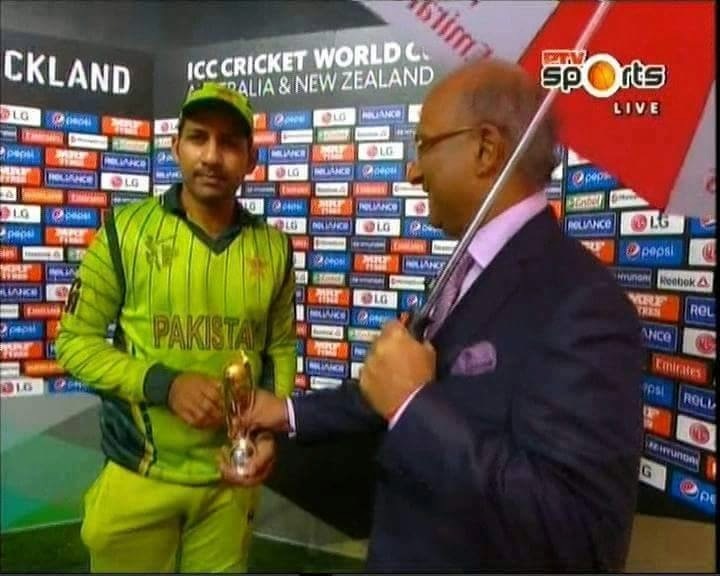 Pakistan's Sarfraz Ahmed was the man besides the bowlers to bring victory to Pakistan. He is the first Pakistan keeper to take six dismissals in an ODI innings. He equals the record in all ODIs which has now happened 15 times.